From Goodreads ~ How do you go on living when you have done the unforgivable? How do you love a mother you barely remember? 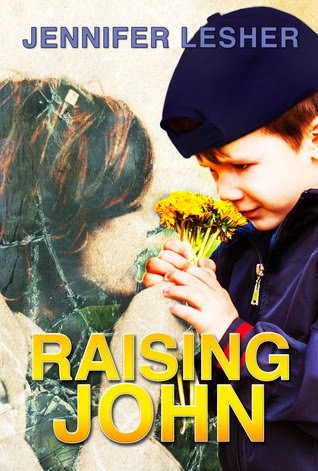 John is an orphan who misses the mother he hardly knew. Robert is the drunk driver who killed her. As the story opens we meet 4-year-old John, who wonders why his mother had to die. Robert wakes up in lockup, expecting to sleep off a blackout and go home, until he learns of the accident he caused. John grows up under the care of his devoted maternal grandmother, who grapples with guilt over her daughter’s past. Just as John is on the cusp of manhood, he must confront his mother’s death anew and question everything he has come to believe about himself and the people he loves. Robert is sentenced to 4 years in state prison. His incarceration begins a journey that will have a profound effect on not only himself, but on the life of the boy he orphaned, and on the legacy of the young mother who died. This story really starts back in 1968 when Barbara discovers she is pregnant with Mary. She's excited to tell her husband the news. Over the years, though, as Barbara's priorities shift also to raising Mary, her husband becomes very bitter and violent. He drinks a lot and abuses Barbara and Mary. Mary can't wait to leave ... once she goes away to university, she never sees her father again. In time, Mary becomes pregnant with John and decides to raise him as a single mother. Tragedy strikes when she is killed in a car accident when a drunk driver runs into them and Barbara is left to raise John. Robert is that drunk driver. When he first wakes up in the drunk tank, he assumes he'll be released. But that's not the case. He is sentenced to four years in prison for vehicular homicide for Mary's death. At first, he is very arrogant and is just putting in his time 'til he's released. One of the conditions of his sentence is that he has to attend AA meetings. At first, he resists ... but he eventually opens up and is able to take responsibility for what he'd done. This is the first book I've read by this author and I enjoyed it. I liked the writing style and thought it flowed well. It jumps around during different time periods but it's obvious (the dates are at the top of the chapters). Some readers don't like this style but I don't mind it. The writing is in third person perspective ... the point of view was determined by whoever the focus was on. As a head's up, the language and some activity is for a mature reader (the "F-bomb" is dropped a lot). The characters were interesting. Barbara is an abused wife of a philandering alcoholic but puts up with it to keep her family together. She is a housewife and barely gets by on the money her husband gives her for necessities. Mary is feisty and smart and can't wait for the day until she's able to move away from her father. It's too bad her life was cut so short just as she was getting it together. John is a cute kid and it was obvious that he and his grandmother loved each other. There are some secondary characters who were supportive friends. I'd recommend this book if you are looking for a story with complex relationships and characters you want to cheer for. This one is one I would read! Thanks for taking part in the tour. I'm so glad you enjoyed Raising John! It certainly kept it's hold on me even after I finished it. Thank you Teena and Mommy (love the name, btw). I appreciate your interest. If you have any questions, I'm happy to answer them here.